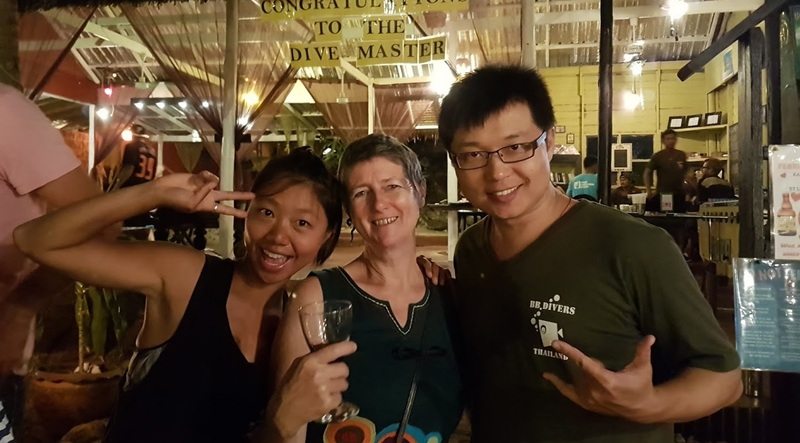 At BB divers we have build a solid reputation in professional dive training, since the first years we have trained many dive masters and instructors, who are now working around the world and proud to be a BB dive professional! 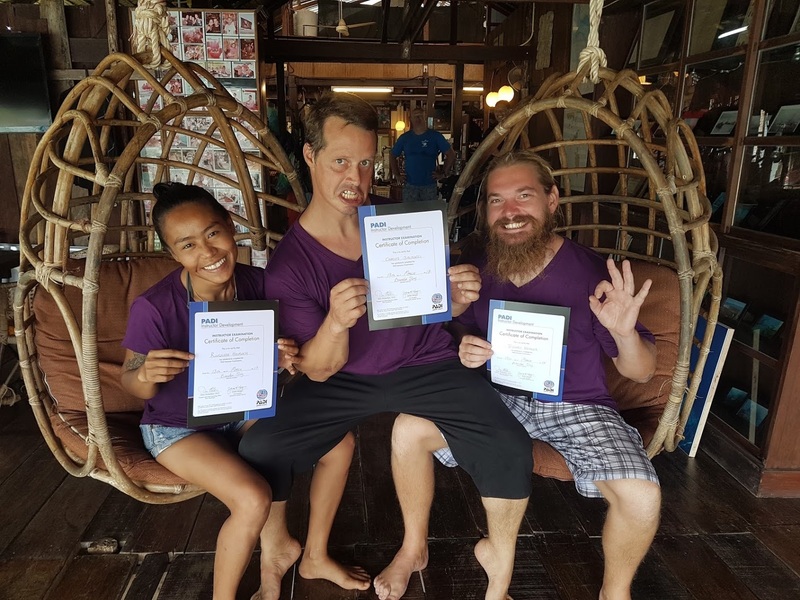 We have built an outstanding reputation based on thorough training, knowledge and dive education, whilst at the same time ensuring an unforgettable experience and lots of dive fun. Are you ready to become a dive pro, we can start your training from any level. If you have never dived before but are ready for an experience of a lifetime, you might be interested in our ten week package for nondivers training all the way up to dive master. 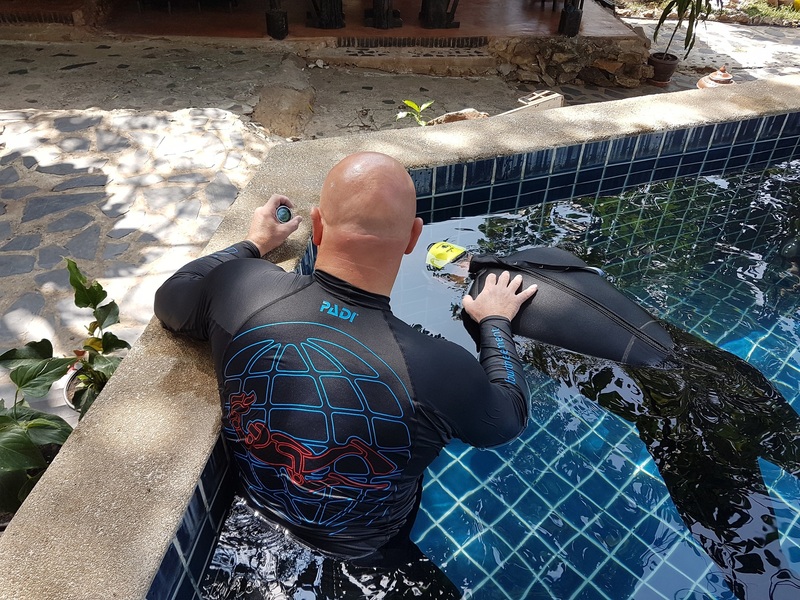 We recommend training for 3 to 6 weeks, the trainee will have a minimum of 60 dives by the end of the training and a minimum of 40 before starting the DM training. All required dives to finish are included in the DMT as are the necessary swimming pool sessions. 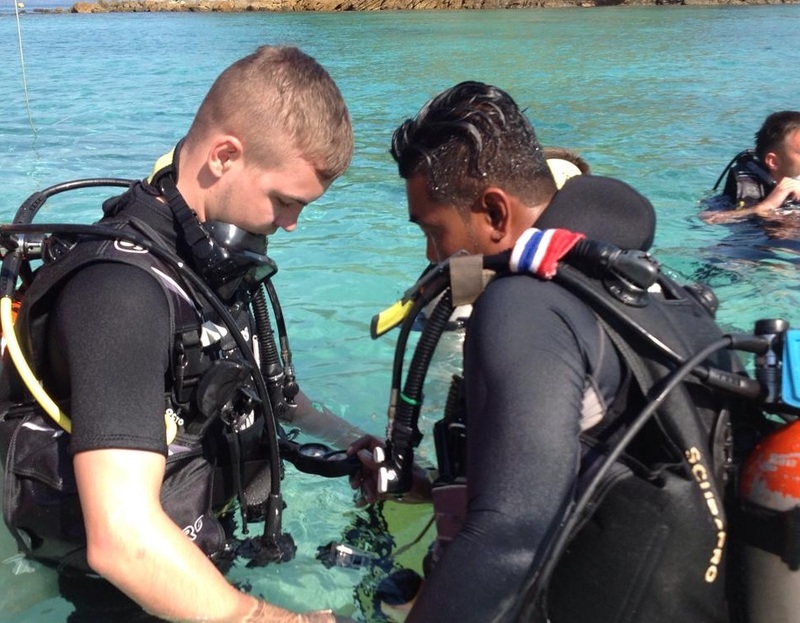 The DMT trains as a dive guide, and as an assistant to the instructor. All your time spent here is training, experience, some work of course and lots of fun….. Self study is needed before the theory sessions, but we do teach all the theory needed for the exams, physiology, physics, the RDP, dive theory and equipment. There are 2 exams, passing score is 75%. Every DMT should have a full set of dive equipment. If you still have to buy equipment, feel free to e-mail for detailed prices. We also sell secondhand equipment, or it is possible to rent equipment. Needed is BCD, regulator set, suit, fins, mask, snorkel, compass, computer, knife and dive torch. The dmt pack has different prices and contents depending language and origin (eg asian package are not the same as European packages). Please email us to get the latest pricing for the dmt package in your language, it will be around 10.000 Bht for the basic pack. All training in classroom, pool and from boat from a PADI instructor. All dives needed to get to the min. of 60, most dmt end up with about 100 dives. 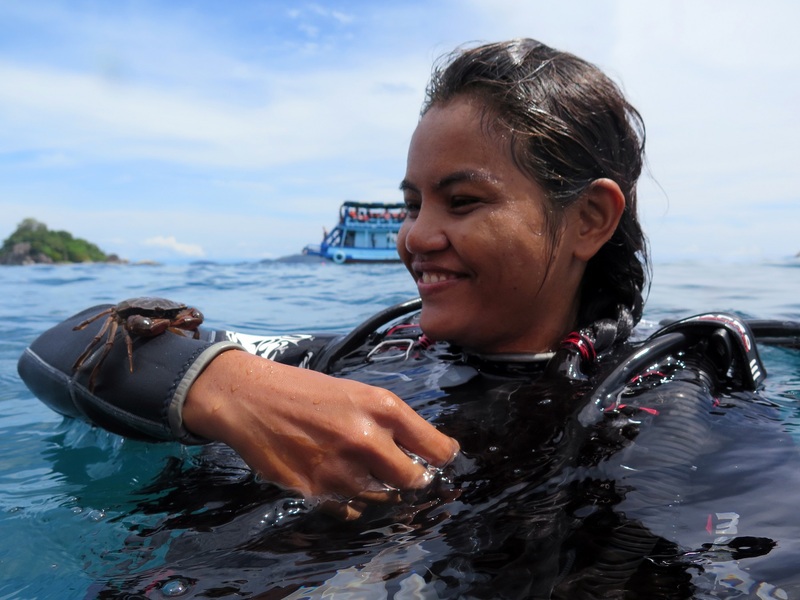 The instructor training or PADI IDC is one of the most intense courses you’ll ever take. For this reason it is quite important to choose an IDC center you can trust, where you will feel comfortable and at home. At BB divers we will give you a great training with a thorough preparation, but not forgetting the fun on the way. 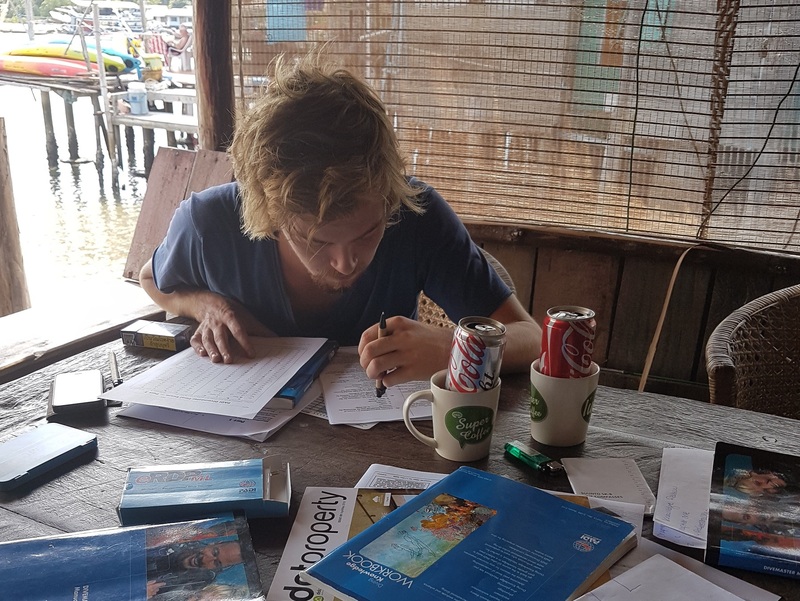 Our learning environment is very relaxed, it is what you expect of Thailand, the lifestyle of this great country, but with training up to Western standards. We do not only get our candidates ready to pass the IE (instructor exam), but make sure that they are ready to start teaching in their own personal style and trained up to the highest standards. The IDC takes ten days, although, if possible it is recommended for the candidates to be here min. 3 weeks before for the preparation. NEW: prepare the IDC from your home computer through PADI e-learning! 346 US$ to learn the diving theory online. Why take the IDC at bbdivers? 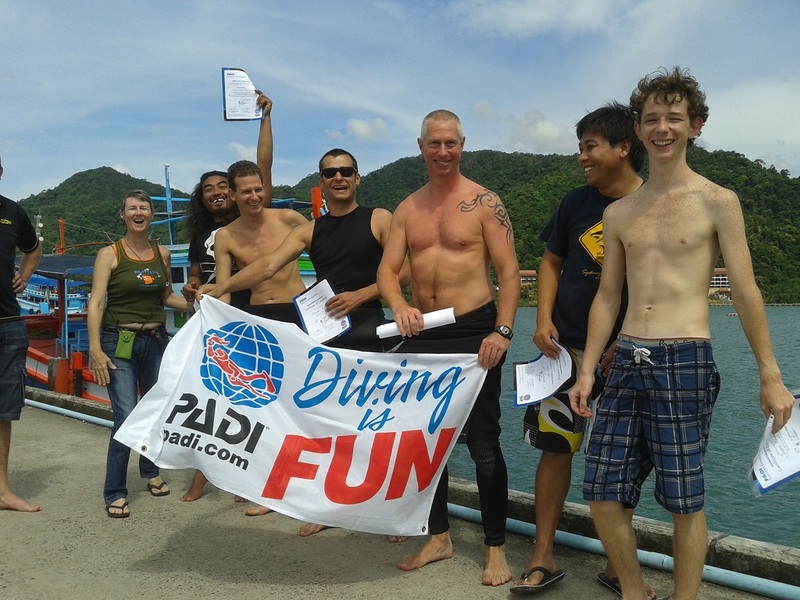 Since all PADI IDC centers can offer the same courses, how to choose...... Important to keep in mind why you want to come to Thailand for training. Well, in short, we are what you expect of Thailand: lovely setting, great island and a good training. What we focus on here is first of all, a very thorough preparation, tailored to each candidate depending on their experience and knowledge. At BBdivers we do not make 'robotcandidates' who then perform and teach all in the same way. We make sure you master all required skills, and will be teaching in your own style. Also, we teach in many different languages, although it is best to take a part of the training in English, since you'll be teaching in this language most of the time. Another important fact is Koh Chang, which is a very beautiful island to spend some time, the diving is good, the island is great and the living is nice. In this pricelist you will find prices all inclusive, no hidden extras. 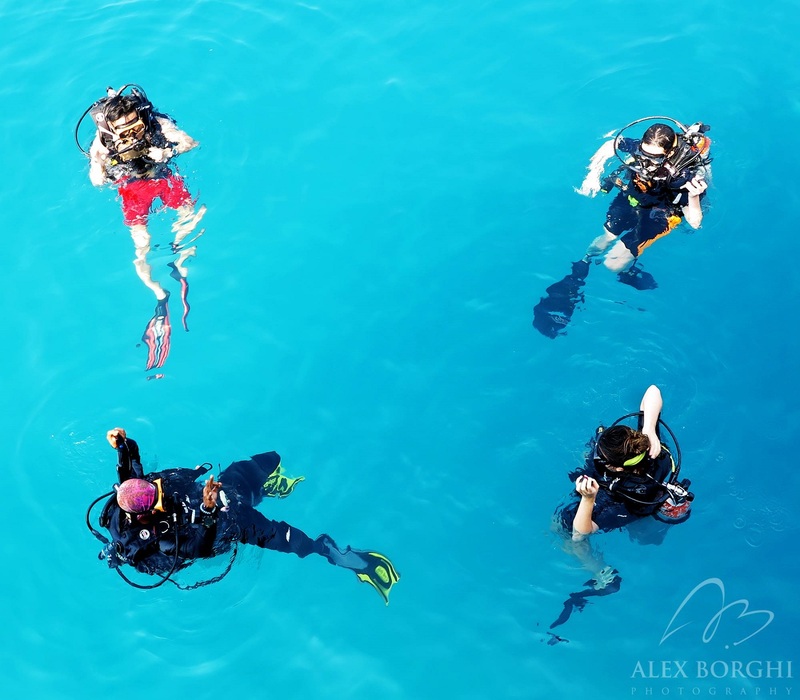 The IDC is not a cheap course, before starting it is a good idea to make sure you are well informed on the full cost of it, training, manuals and Padi fees. The books are priced separatly, and equipment you will have since you are a divemaster by now. The minimum training you will need to do is the full IDC (with free prep. and free specialty), and the EFR instructor, all the other courses are extra training and thus also separately priced. Taking part in an IDC is an experience that will change your life for the better, be ready to give it 100%, and after a few weeks of hard work you will have the job of a life time! The EFR instructor training is available throughout the year for all dive masters, Assistant instructors or instructors who want to become an EFR instructor. We train in CPR and EFR teaching, with adult, child mannequin and a defibrillator trainer. The EFRI training takes 1 to 2 days*.